← The Library of Celsus. Ephesus. Konak means mansion in Turkish and that is the name of the place that represents the city. 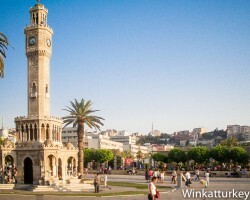 It is a large square facing the Aegean in whose center is the famous clock tower, Saat Kulesi, whose image is associated to Izmir. 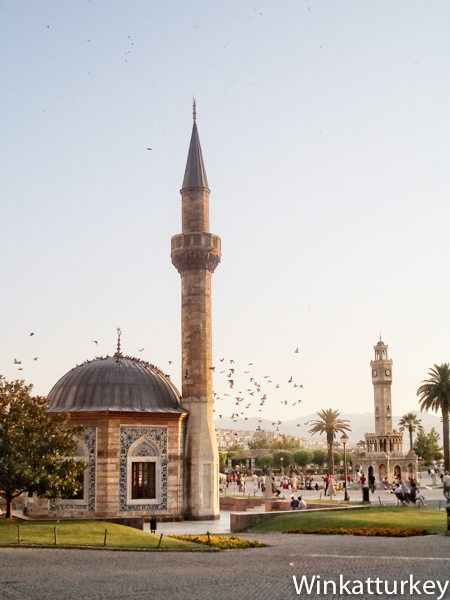 In Konak Square we will find that social microcosm so characteristic of Turkey, peddlers, families with children, tourists, businessmen, policemen, street photographers and beggars mix without hesitation nor order. 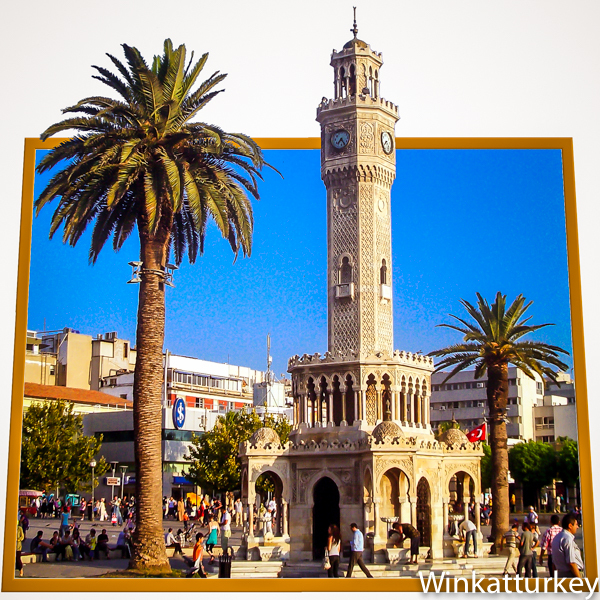 From Konak we can go to Kemeraltı bazaar, stroll along the Kordon, take the ferry, go to the opera or the museum and certainly, we also have many places to eat nearby. 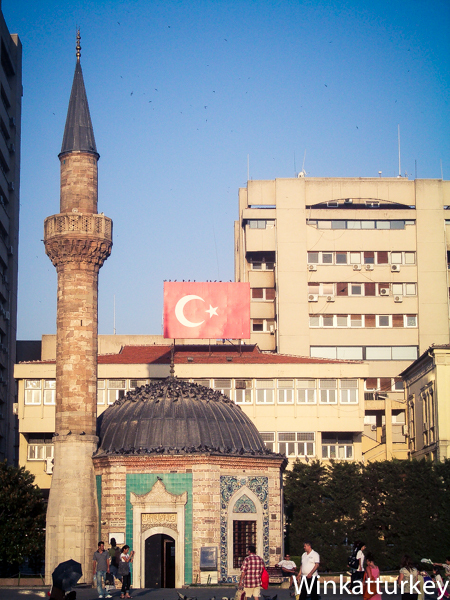 The famous tower is a sample of the clock towers whose construction was boosted by Abdülhamid II. 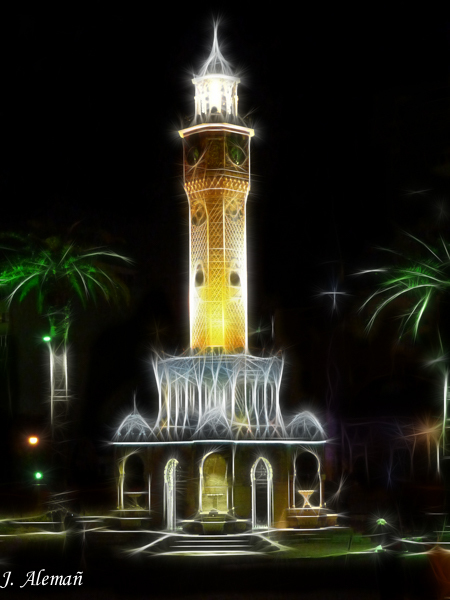 The Sultan, who ruled from 1876 to 1909, sent a decree to his governors to watch towers were lifted in all provinces of the empire. 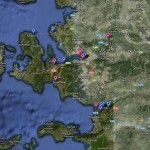 As a result, were built 144 towers 52 of them are in Turkey and other 72 in different countries. The Izmir Saat Kulesi was built in 1901 commissioned by the Grand Vizier Sait Pasha to commemorate the 25 anniversary of the Sultan reign. The Kaiser William II presented the tower clock. The architect was the Frenchman Raymond Charles Péré who had married a Levantine lady from Izmir and settled forever in the city. 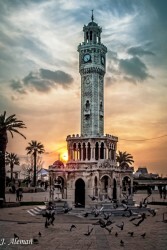 Péré is also the architect of many houses owned by known Levantine families in the districts of Alsancak and Buca that once were characteristic of Izmir. 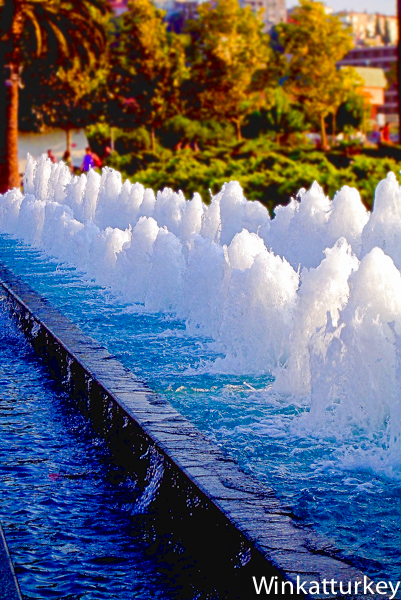 The tower is 25 meters high and four fountains are located at its base in each of the directions, from them flows desalinated water. The arches of the base are of northafrican inspiration and two palm trees decorate the place. The other monument in the square is the Yalı Mosque, also known as Konak mosque. 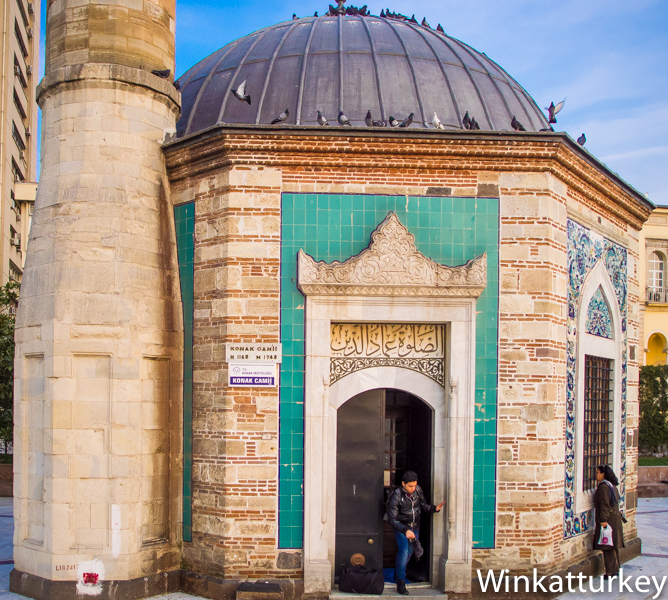 It's a small octagonal building constructed in 1755 and decorated with Kutahya tiles that give a blue-green hue. 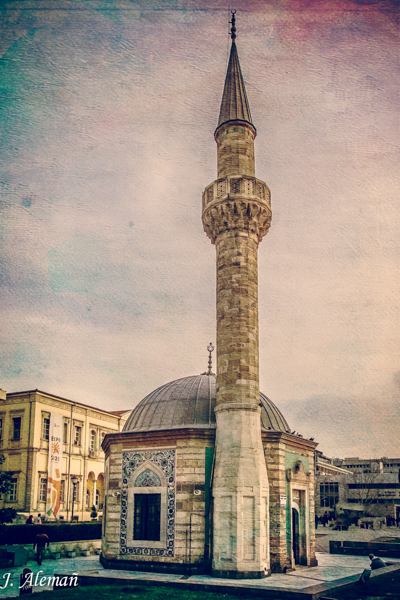 The mosque has a single minaret and only one entrance. The interior is lit by a chandelier from the famous Izmir ceramist Ümran Baradan. 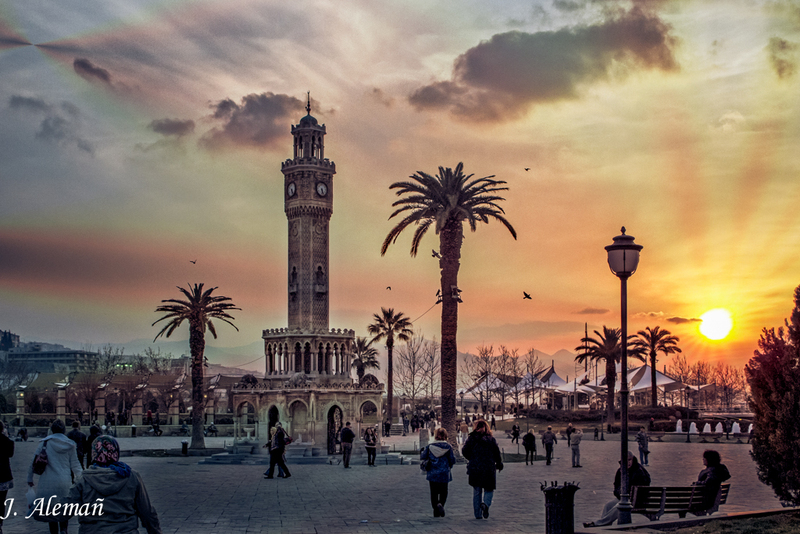 In Konak Square there are some malls, but certainly we can not miss the stroll through the Kemeralti Grand Bazaar with some of its streets linked to the square. 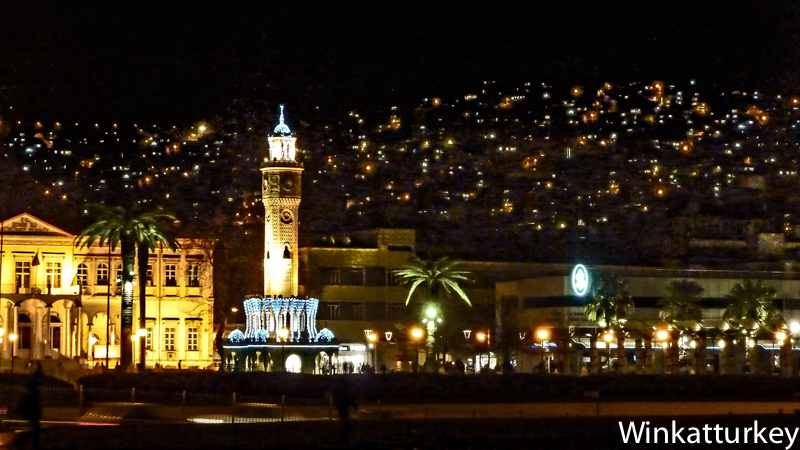 Konak is a place to visit any time, Aegean unforgettable light will accompany us from there to any of the attractions of the city that are in the vicinity.